Modern homes require modern gate solutions and after 20 years in the industry Everlast Services knows exactly how to create a gate to suit your modern home. Whether you want a sleek modern look, or a striking post-modern look, Everlast Services has the skills and the know-how to make your vision reality. We can provide aluminium, steel, modular and a combination of all these materials to provide you with a truly modern and aesthetically beautiful gate. We fabricate all about gates in-house at our Hoppers Crossing steel fabrication plant in Melbourne. This gives us the key advantage in that we control the quality of our gates at every stage – from conception, to fabrication and installation. We are committed to supporting the local economy as much as we can. The area has given us so much and we give back by sourcing everything we can from local suppliers. Our fabrication plant also allows us to provide more jobs something that is vital in these uncertain times. Our relationships with local suppliers coupled with the fact that we fabricate our gates in-house allows us to find huge savings and we always pass these savings onto our customers. We love making our services available to as many people as we can and that’s why we work hard to keep our quotes low. 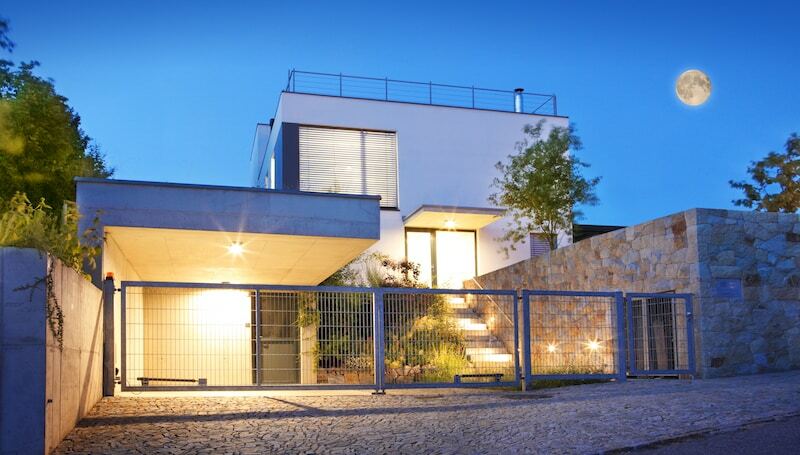 Designing a modern gate that is functional and stylish requires expertise. 20 years in the industry has given us this expertise and we rely on our experience to provide you with a modern gate that satisfies your security and design needs. We are much more than a gate manufacturer. We can also take care of your fencing needs while also providing you with home improvement services through our paving, decking, landscaping and concreting That means you can come to one provider for all of your home beautification services.